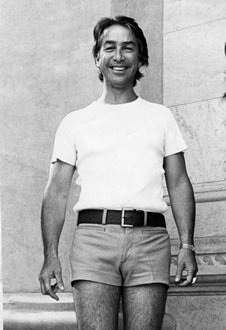 Don Dunstan was a South Australian politician well ahead of his time. As someone who has studied the history of political campaigning in Australia, Dunstan’s campaigning efforts in the 1960s were seminal, having laid the foundation for the highly professional ‘It’s Time’ campaign which swept Gough Whitlam to office in 1972. 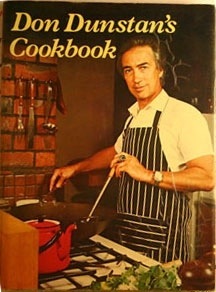 In 1976 Don Dunstan also published a self-titled cook book. Thirty years after South Australian renaissance man and premier Don Dunstan published his cookbook, the recipes remain as modern as ever. COURAGE, innovation and change were the hallmarks of one of South Australia’s most remarkable premiers, Don Dunstan, who served in the post for a short time in 1967 and again from 1970 to 1979. He not only steered many forward-thinking changes to our state’s laws and legislation but also challenged our perspective on food, cooking, restaurants, theatre, the arts and even fashion. Who could forget his parade of short-sleeved safari suits, long socks and pink shorts? In the middle of his most productive time, 30 years ago this year, Don Dunstan found the energy and inspiration to write a cookbook. Don Dunstan’s Cookbook defined the ’70s in terms of kitchen arts, he later described it as “a period piece”, yet its text and recipes remain relevant and sometimes innovative. It was developed around his home and garden. He had a fowl pen as the foundation of his garden, and chicken features heavily. He describes chicken as “the best basis of Australian cuisine” – more true today than ever. Culturally diverse even then, many of the recipes are drawn from and influenced by Mr Dunstan’s travels. Indian and Malay cooking each take up a chapter, with healthy smatterings of French, Italian, Greek and Swedish and other flavours in between. Desserts were omitted from the original 1976 edition, but were introduced in a 1998 edition, focusing on fruits from the garden. These four recipes, taken from his cookbook and reproduced faithfully, are not out of place in 2006. The scrambled eggs are a delicious brunch idea and a strikingly similar version can be found today at Citrus restaurant in Hutt St. Blend with 300ml cream and a noggin of brandy. Put in glasses and chill. 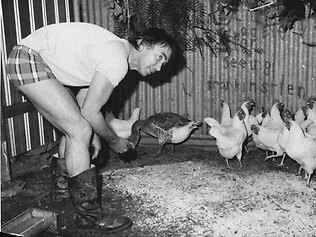 Don Dunstan’s Cookbook was first published by Rigby in 1976, and a second edition by Calypso Press. It is out of print. The recipes are published here with metric measurements. The chicken with chickpeas is an easy, hearty winter stew. It matches wonderfully with the simple but flavoursome bean recipe. Mr Dunstan was quite passionate about beans and begged us not to boil them out of existence. Cut the chicken into joints. Heat the oil in a saucepan or deep, flame-proof casserole (large enough to hold chicken). Fry the onion in the oil until soft and golden. Sprinkle with turmeric and mix well. Add the chicken and saute gently, turning it until it is a dark, yellow colour all over. Add a pint (about 600ml) of water, the soaked and drained chickpeas, lemon juice and garlic, and season with salt and pepper. Bring to the boil and simmer gently covered for an hour or longer, until the chicken is very tender, the chickpeas soft, yellow and lemony, and the liquid very much reduced. Adjust seasoning and serve. Chop an onion finely and soften in butter over a low flame. Add your tender young beans just topped and tailed, and toss them in the covered pan until they are glistening. Cook over a low flame, giving an occasional toss for 3 minutes. Then add a small amount – almost two tablespoons – of chicken stock. Simmer, then cover, until the beans are tender. Another flavoursome variant on scrambled eggs goes this way. Beat your eggs and add cream and stir it in well. Chop some fresh ginger, and fry it in ghee. Add a chopped onion and fry until soft. Now add 2 tbsp of fresh coriander leaves chopped, and a tsp of turmeric. Stir them and add the eggs; continue stirring. As the eggs commence to set, add some finely chopped fresh red hot chilli, or if you haven’t these, sprinkle in a scant half tsp of hot chilli powder. Continue stirring, and when the eggs have set, serve. Sprinkle the top with powdered cumin seed, and garnish with fresh tomato wedges and sprigs of coriander. String and chop a bunch of rhubarb. Put in a saucepan with a cup of sugar and enough water not quite to cover, and simmer until soft. This entry was posted in news and tidbits and tagged cookbook, don, dunstan, foodie, politician.